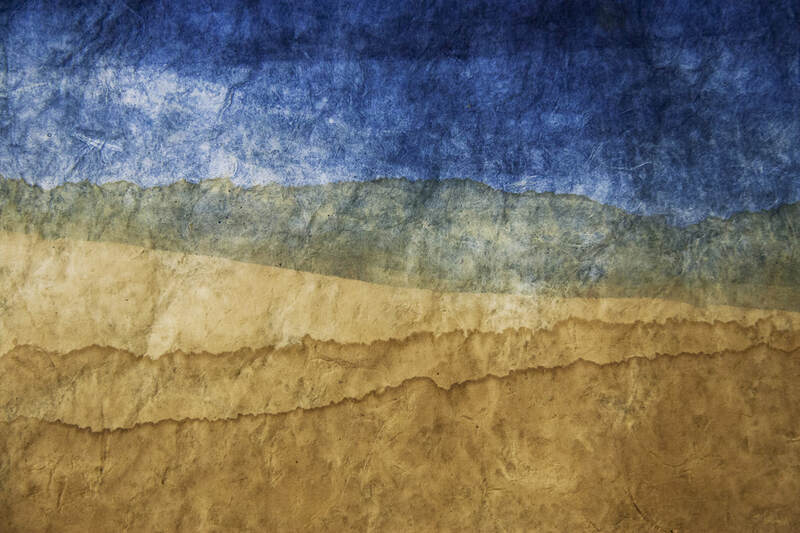 Central Oklahoma’s iron rich red earth poised against a vast blue sky is a unique and striking characteristic of this region. As I traveled west from Missouri into Oklahoma in the Spring I was captivated by the richness of the red and copper colored dirt cascading across the land and rushing through the rivers that I crossed. 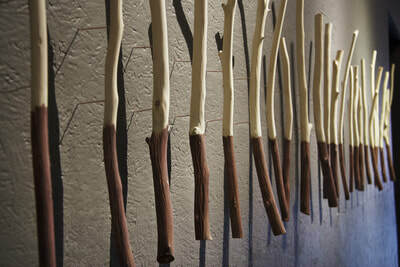 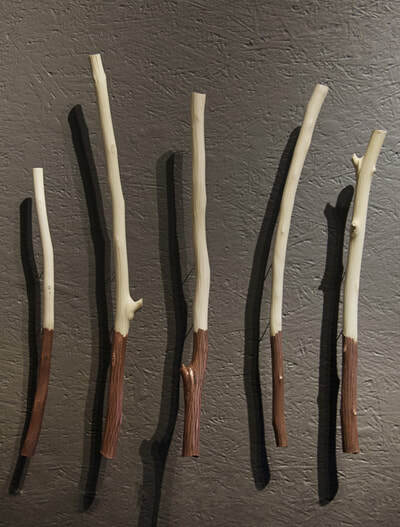 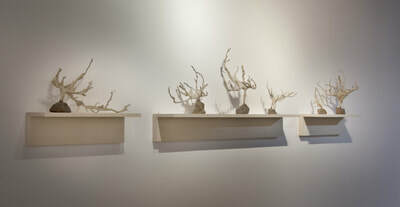 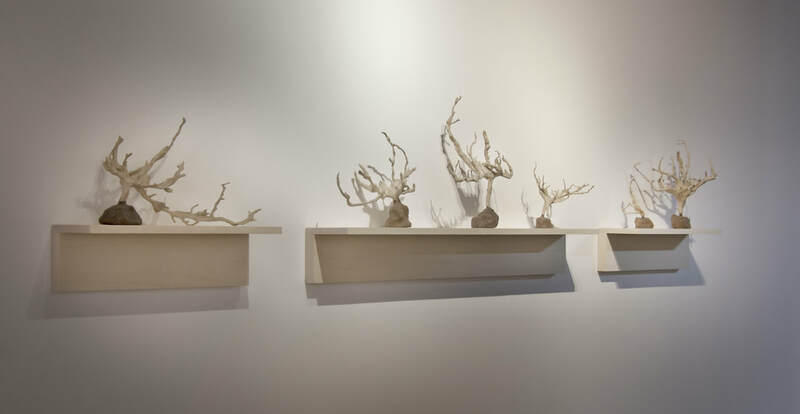 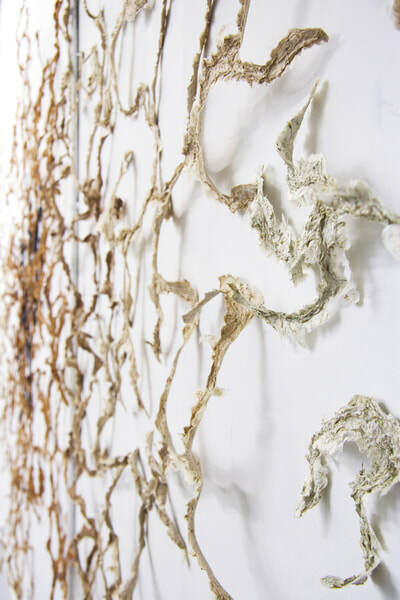 As an interdisciplinary artist, I create works that resonate with the materiality and rhythms of the natural world. 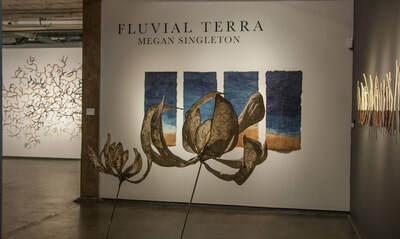 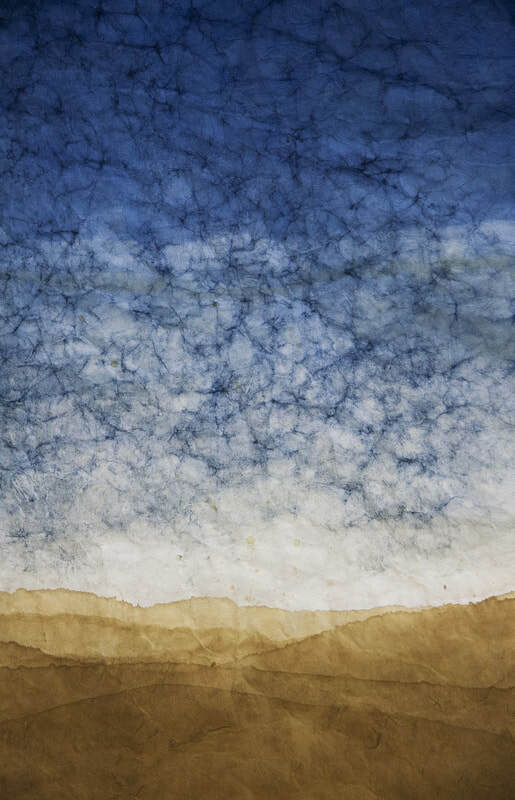 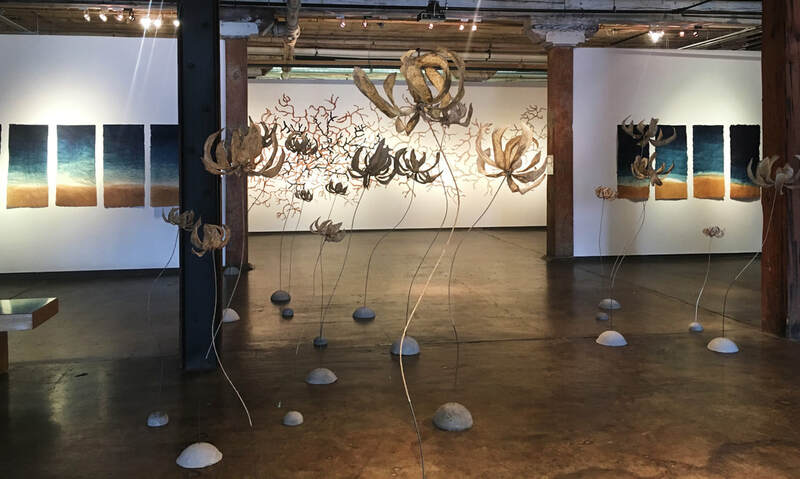 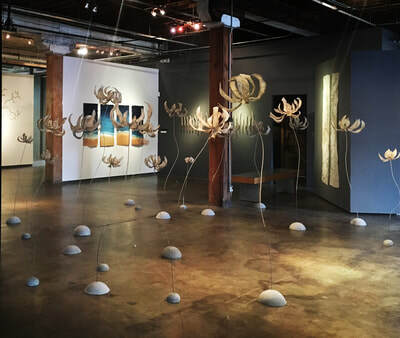 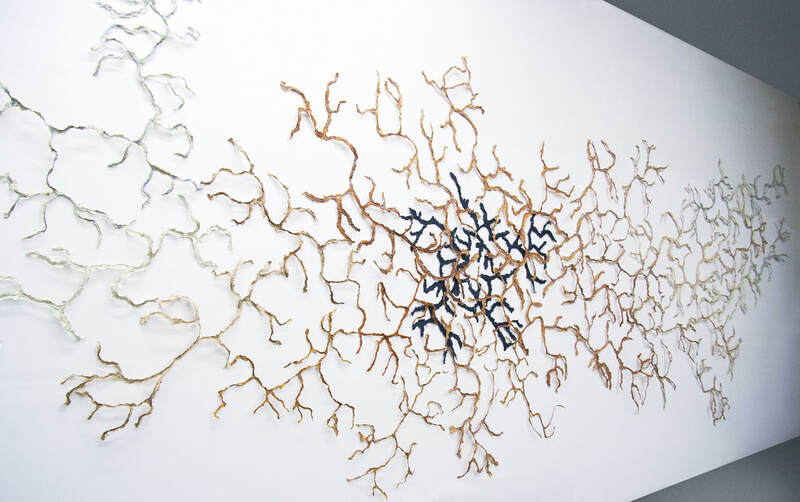 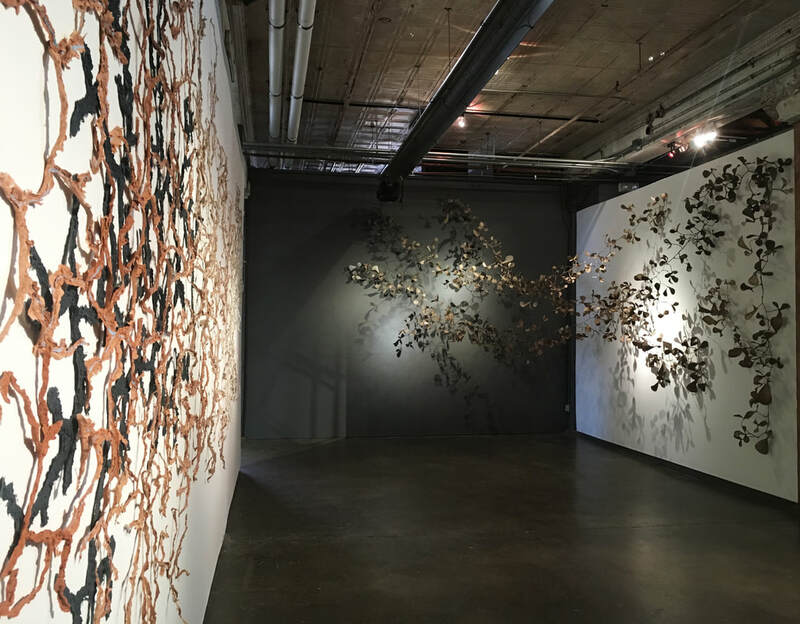 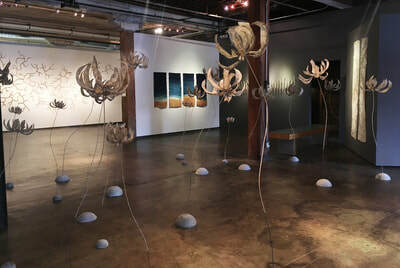 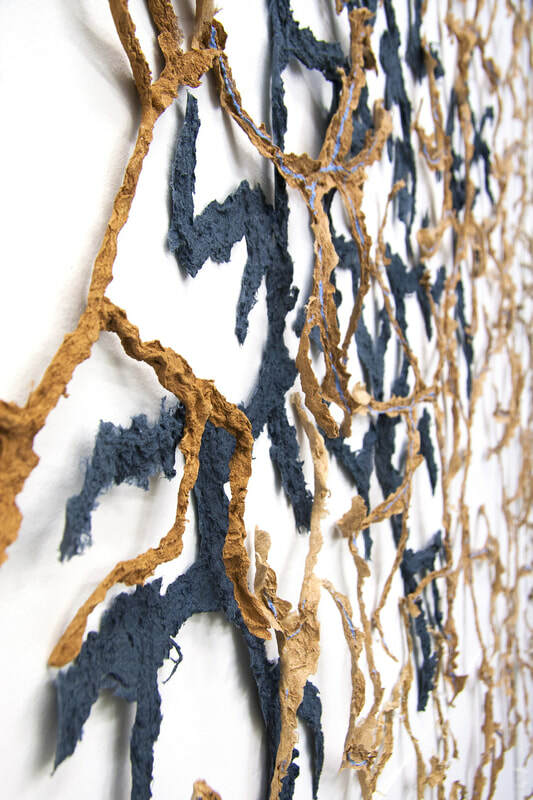 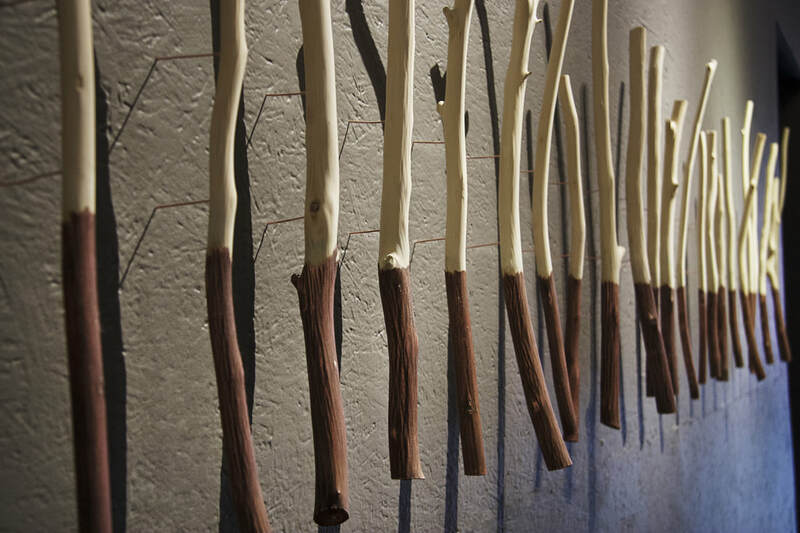 Fluvial terra is a place-based exhibition utilizing local soil and plant fibers to create interpretations of the landscape and invasive flora found in Oklahoma. 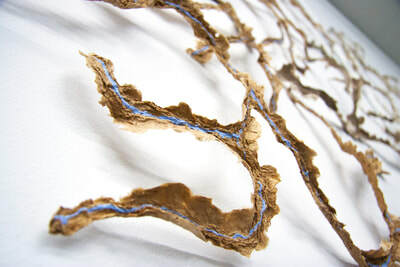 For the installation, Riparian Threads: Cimarron Watershed, I used the vibrantly colored state soil, Porter, to pigment the paper pulp, which was used to create a large abstract drawing of the Lower Cimarron River Watershed. Maps collected from USDA Geospatial datasets inspired the composition and line quality of this work. The sculptures, Uprooted, use the roots of Chinese Privet, one of Oklahoma’s designated “Dirty Dozen” invasive plant species, as their interior structure.For this body if work I have selected crossover plants that have been designated problem species and invasive species by the state government agencies in both Oklahoma and Missouri. 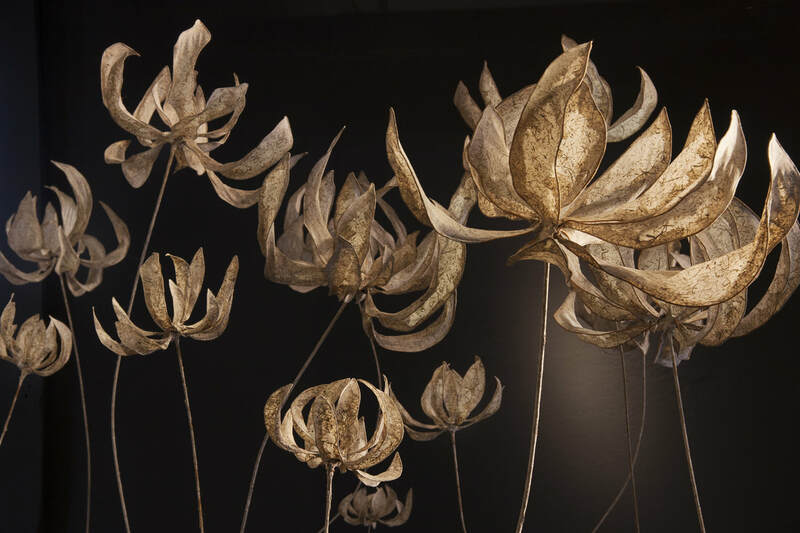 ​Turions: Wintering Buds is a series of kinetic handmade paper and steel sculptures that interpret the wintering bud of the highly invasive aquatic plant, hydrilla.